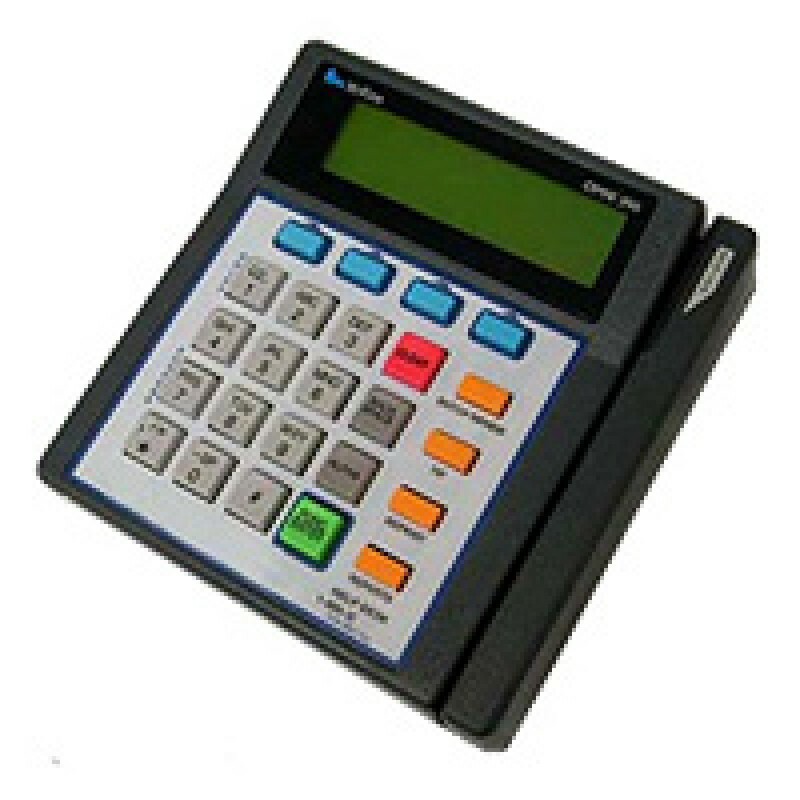 The VeriFone Omni 396 credit card terminal offers more memory, a faster modem, easy remote upgrades, and more peripheral ports, making it one of the top machines on the market. The VeriFone Omni 396 56k credit card terminal offers more memory, a faster modem, easy remote upgrades, and more peripheral ports, making it one of the top machines on the market. Available with a range of memory configurations, from 56K Kb, the Omni 396 allows the addition of new applications without the need to upgrade to a different system. Featuring three ports, the VeriFone Omni 396 can connect to a range of peripherals, including PIN pads, printers, bar code wands, check readers, or smart card readers while, all the while, still connecting to an ECR or a PC. The Omni 396’s 2400 baud modem, offering a choice of synchronous or asynchronous protocols, allows for improved transaction time, faster customer service and lower costs. The VeriFone Omni 396 can accept partial or full downloads, both remotely and onsite. It can also perform application upgrades from a PC or another terminal. The Flash EPROM permits electronic operating system upgrades, allowing firmware changes rather than hardware replacement.